We utilize the various geophysical logs and injection tests to determine the stress field at a site. 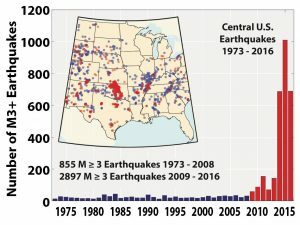 Seismic surveys can be conducted to identify faults in addition to utilizing motion sensors, such as seismometer and geophone, to delineate fault zones. 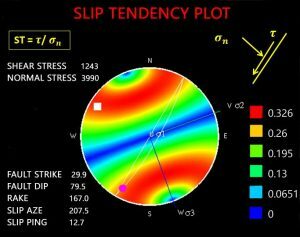 Advanced three dimensional stress analysis is conducted to calculate the slip potential of suspected faults so as to establish safe injection rates and volumes to prevent earthquakes. 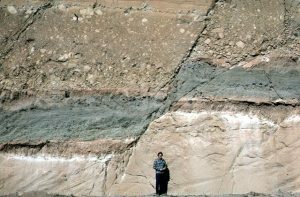 Scaling relationship between faults size and earthquakes are also utilized to estimate the magnitude of earthquake under the worst-case fault slippage scenario in order to characterize the ultimate seismic risk.